Suh filed a complaint to California's Department of Fair Employment and Housing in April, launching an investigation. On Thursday, the agency announced that Barker had agreed to pay $5,000 in damages and take a college-level course in Asian American studies, among other penalties. 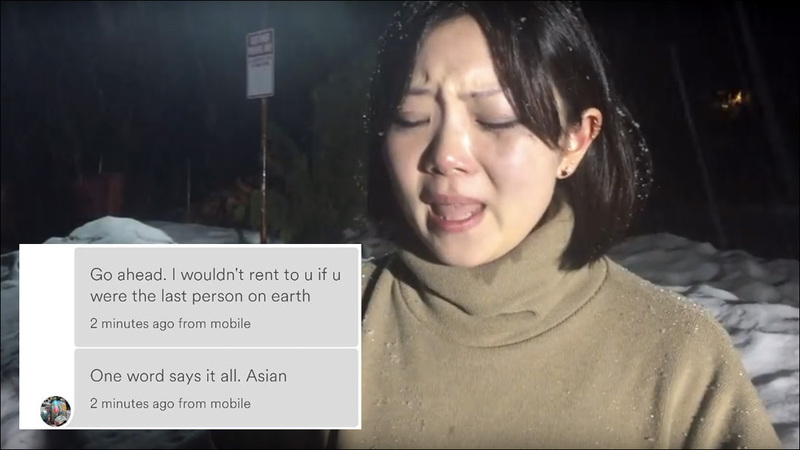 Outside of this incident, Airbnb has received substantial negative press for racism in their services. Black users have been complaining for years about their troubles booking accommodations on the platform, and multiple studies have found that Airbnb's business model encourages discrimination against minority hosts and guests. 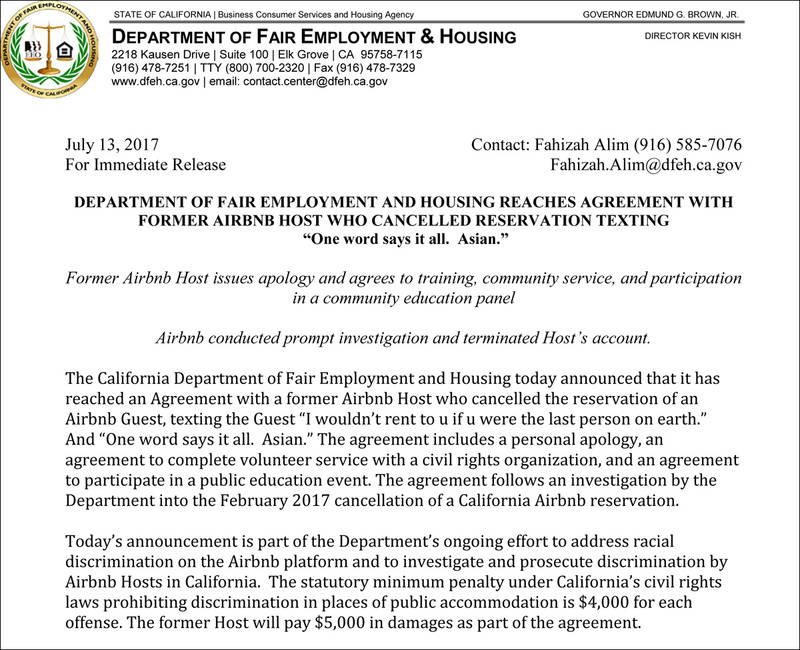 This is actually the first time an Airbnb host has been financially penalized for racial discrimination. In addition, Barker must agree to comply with anti-discrimination laws, make a personal apology to Suh, participate in a community education panel and volunteer with a civil rights organization. Barker can take the Asian American studies course online, or in person. Man, I hope she takes a course in person, with a classroom full of Asian American students. Frankly, I find it offensive that taking an Asian American studies class is considered a punishment. It's a privilege, and I hope it opens her eyes.